In my articles Safeguards to reduce Elder Abuse (Setting up the meeting) and More safeguards to reduce Elder Abuse (Conducting a meeting) I referred to the recommendation of the Australian Law Reform Commission that safeguards could reduce the risk of elder abuse facilitated through the misuse of powers of attorneys. I observed that proper safeguards could reduce elder abuse generally, and not just with powers of attorney and not just with lawyers. 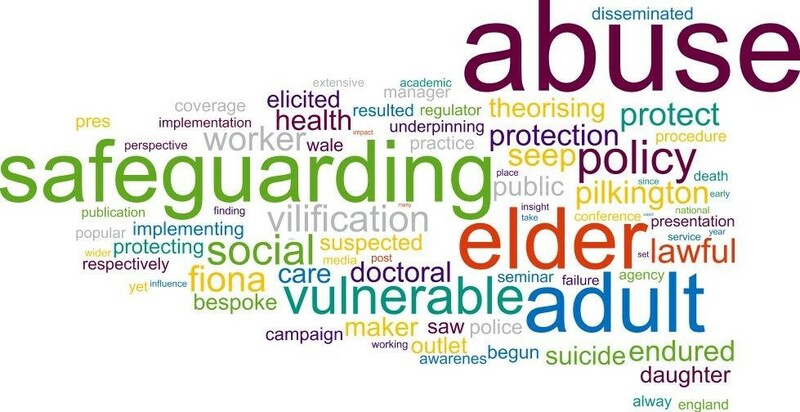 In the second article, which suggested safeguards for conducting the meeting with an aged person, I referred to the need for an adviser to assess an aged person’s understanding of the particular transaction being undertaken, be it medical, legal, financial, or something else. In that context, an adviser should usually ask open questions. This article expands on that suggestion. A solicitor who gives a detailed and careful explanation to someone sitting on the other side of the desk might form the view that that person understood the transaction if the person remained silent during the explanation, looked at the solicitor during it, periodically nodded, and when asked at the end whether all that had been understood, also nodded. Alternatively, a solicitor might form that view on the basis that the person on the other side of the desk periodically asked questions that related to the subject matter. In the first of those situations, if the person on the other side of the desk had, unbeknown to the solicitor, a serious deficiency in brain functioning, the solicitor’s conclusion might not be a reliable one, however honestly it may have been arrived at. ‘how” (as in ‘How is that legal action in the person’s best interests?’). These are the type of questions asked by an investigative journalist. as these words allow for a ‘yes’ or ‘no’ answer which does not aid an assessment of a person’s understanding. These are the type of questions asked by a cross-examiner. 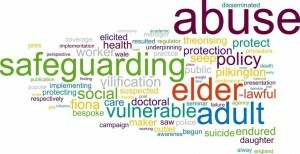 Why do you want an Enduring Power of Attorney? What sort of decisions will your attorney be making for you? Can you limit the attorney’s powers if you want to? Are you able to give specific instructions to your attorney about decisions to be made? What is the extent of the assets over which the attorney will have control? Why have you selected this person to be your attorney? If you have more than one attorney, who will make decisions concerning you or your finances? When will the attorney’s power for financial matters begin? When will the attorney’s power for personal matters begin? How long does the attorney’s power last? Can you change or revoke the Enduring Power of Attorney? Is there anything else that will end the attorney’s power? What would you do if you didn’t agree with the attorney’s decision? I have marked the closed questions in italics. Four of the 15 questions are closed questions. About 75% are open questions. “9. Marjorie left the room and I began discussing the matter of the Will with Stan in the presence of my wife Ann. I said words to the effect of ‘I have drafted a Will for you which I have here, when you spoke to me on the phone you told me that you wanted your sister Marjorie to be your executrix and you were going to leave everything to her, is that correct?’ and Stan either nodded or said ‘Yes’. Stan looked at me for a moment and I said ‘Does that mean you do or you don’t?’ and Stan said ‘Bob’. I recall saying ‘Where does he live?’ but cannot now recall Stan’s answer. Q: “Do you want to have your trustees to have the right and the power to deal with any of the estate assets as they deem ﬁt for the purposes of attending to the affairs of the estate generally and winding up the estate?” A: “Yes that’s what I want them to be able to do but I just want them to hang onto the ﬂats for six years after I die and not sell them straight away following my death”. It is not suggested that there should be open questions used in every circumstance or even in every circumstance where mental capacity is doubted. There will be circumstances where closed circumstances will be appropriate. These are comparatively rare. The default position of open questions is therefore recommended unless it is realised that these will not produce sufficient information to enable a sound assessment of the person’s understanding. See in this context the comments in Effective Counseling of Older Clients: The Attorney-Client Relationship (1995), p18. This can be found at http://www.americanbar.org/content/dam/aba/administrative/law_aging/2012_aging_bookD15289_effectivecounselingolderclients.authcheckdam.pdf (accessed 27 November 2016). Cf Estate of Stanley William Church  NSWSC 1489,  – ,  – ; Burns –v- Burns  EWCA Civ 37, ; Gray v Taylor; The Estate of the late Stanislaw Zajac  NSWSC 4, ; Robinson –v- Spratt  NSWSC 426; Nicholson v Knaggs  VSC 64; Petrovski v Nasev; The Estate of Janakievska  NSWSC 1275. NSWCA 58,  per Campbell JA with whom Giles and MacFarlan JJA agreed. In Nicholson v Knaggs  VSC 64 a doctor colourfully called this the “Noddy Syndrome”. As to the need for a solicitor to engage in probing, testing and enquiry to ensure a client has mental capacity, see also Lederberger v Mediterranean Olives Financial Pty Ltd  VSCA 262; Badenach v Calvert  HCA 18, Archer –v- Archer  NSWCA 314; Pates –v- Craig; The estate of Cole  NSWSC 87; Hobhouse v Macarthur-Onslow  NSWSC 1831, . Speech of Justice R I Barrett, Law Society of NSW Elder Law and Succession Committee “Listen to the Judges” series 11 September 2012 available online: http://supremecourt.lawlink.nsw.gov.au/agdbasev7wr/assets/supremecourt/m670001731657/barrett110912.pdf [accessed 11 March 2014]. The reason this enquiry is suggested is explained in McNamara v Nagel  NSWSC 91, as follows: “One issue that is relevant to the determination of whether a testator had testamentary capacity is the extent of any disparity between the testamentary effect of the will in question and an earlier will made at a time when the testator clearly had testamentary capacity. If the new will involves a substantial change in testamentary intention, and the dispositions made by it are not objectively justifiable on the basis of the relationships between the testator and the potential beneficiaries, and the calls that various potential beneficiaries have on the bounty of the testator, those circumstances may support a finding that the testator did not have the capacity adequately to weigh the claims of those who may have claims on the property at that testator’s disposal”: . In that matter there was a substantial departure from the earlier will but this was satisfactorily explained by the intervening death of the testator’s husband which made the earlier will “substantially redundant”: . This question is not relevant to a power of attorney made pursuant to Powers of Attorney Act, NSW. Darryl Browne is the principal of BROWNE. Linkenbagh Legal Services. He is an Accredited Specialist in Wills and Estates. He is the Chair of the Law Society’s Ethics Committee. He facilitates the Law Society’s Elder Abuse Working Group. He has been a member (2010- 2014, 2016), Chair (2014) and Deputy Chair (2016) of the Elder Law and Succession Committee. He is a Councillor of the Law Society, a member of the Specialist Accreditation Board, Property Law Committee, Criminal Law Committee, Fidelity Fund Management Committee and Disclosure Committee. He is a member of the State government’s Prevention of Elder Abuse Steering Committee, the Law Council of Australia’s Elder Law and Succession Committee, the Legal Aid Commission Board and the University of Sydney’s Law Extension Committee. He writes bi-monthly Case Notes on wills and estates for LSJ and occasional other articles for that and other journals. He facilitates the Law Society’s online Wills and Probate Procedures for Solicitors. He designed and presents the Masterclass on Powers of Attorney. He is a member of STEP and SMSF Association. The opinions expressed in this article are his own.